This year marks the first annual St. Andrews Photography Festival, celebrating the role and achievements of the town’s artists through until 11 September. BID St Andrews – the business improvement body created in January to support businesses in the town – has been working with the University of St Andrews and local businesses to construct a new, yearly festival of photography that celebrates both the town’s cultural legacy and the importance of Scottish photographers, both established and emerging. Dr John Adamson stands as one of the most celebrated early amateur photographers, who taught both Robert Adamson and Thomas Rodger – two artists that contributed masses to their medium (the former in partnership with David Octavius Hill and the latter opening the first photographic studio in 1849.) A diversity of other names are also to be celebrated for their roles, including Sir Hugh Lyon Playfair, David Octavius Hill, Robert Adamson, Thomas Rodger and Sir David Brewster. Spanning six weeks, the festival comprises many talks and events that collectively focus on the earliest days of photography in St Andrews as well as the pioneers’ legacy in Scottish documentary image-making since. Thirteen local businesses, including cafés and restaurants, provide the setting for the exhibitions, alongside six more conventional venues. Scotland Through The Lens: 175 years of documentary photography – prints from University of St Andrews Library’s Special Collections archive. 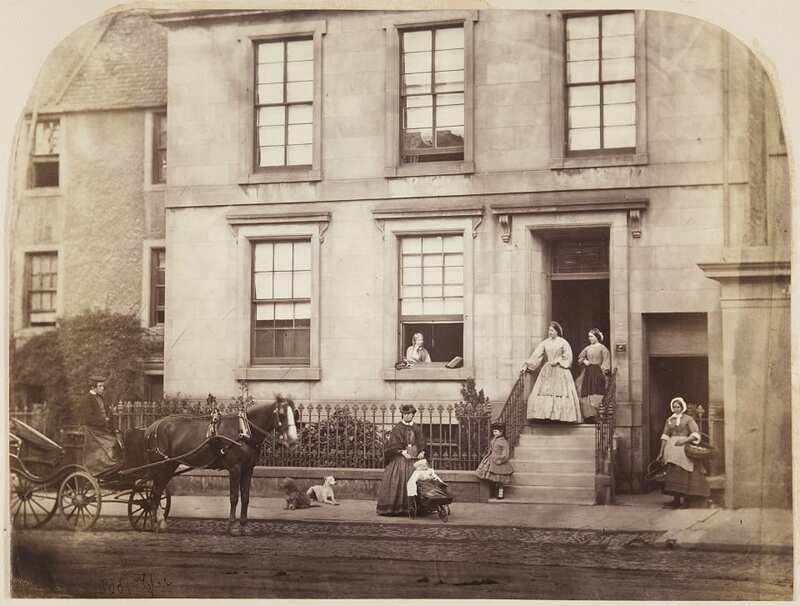 Pioneer Thomas Rodger – prints from the University of St Andrews Library’s Special Collections archive on show in the first purpose-built photographic studio on St Mary’s Place, now the University Careers Centre. Photographic artist Calum Colvin RSA OBE – a selection from Colvin’s “constructed photography” output over the last 30 years. Document Scotland – a collaboration between Scottish documentary collective Document Scotland and the University of St Andrews Special Collections. David Peat – street photography by the award-winning documentary-maker, cinematographer and photographer. Franki Raffles – a cross-section of the archive of the feminist social documentary photographer, whose powerful images for the Zero Tolerance campaign highlighted awareness of domestic and sexual abuse against women around the world. In conversation with Aesthetica, the college discusses this year’s visions for their postgraduate shows, engaging with global topics and debates. The London-based company explores how dance can bring emotion to science with ITS new piece 8 Minutes, showcased at Sadler’s Wells. Ben Thomas focuses on urban spaces. Having experimented with tilt-shift and kaleidoscopes, featured series Chroma I and Chroma II decode cities, highlighting colour and tonal flatness.